Have you ever wondered how satellites can track birds, fish and other animals? They use dedicated satellite systems and tiny lightweight transmitters that send signals to polar orbiting satellites. 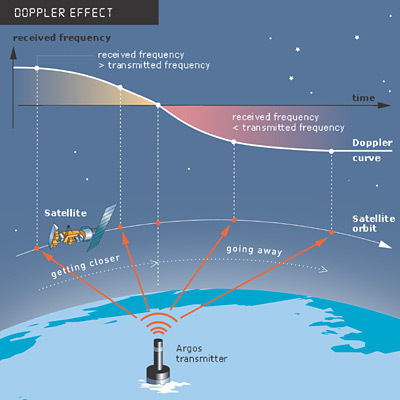 The high speed of the satellites causes a Doppler shift as the satellite passes overhead in its low polar orbit. Here are some websites to help your research. A satellite system company. This site has great diagrams of orbits and telemetry coverage. Rutland Ospreys track their birds from Rutland to Africa and back every year. Image from Microwave Telemetry Inc.